Popularly known as “gold topaz,” citrine is a mesmerizing gemstone which is actually most closely related to amethyst. As the birthstone for November, it has the benefit of being affordable as well as beautiful. Let’s learn more about this beloved form of quartz! As just mentioned, citrine is not related to topaz as so many people believe! It is actually a form of quartz. In fact, you have probably found it for sale in gem shops right next to other forms of quartz such as amethyst and rose quartz. 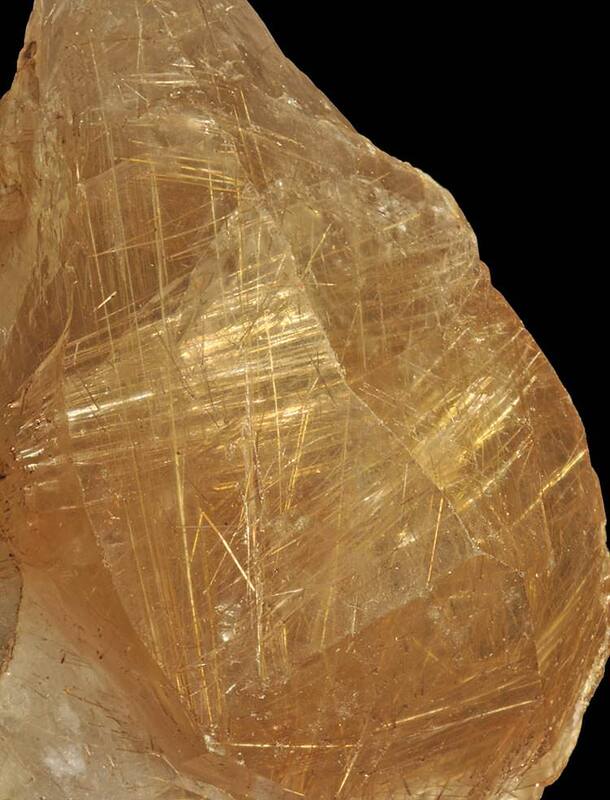 As a form of quartz, citrine ranks 7 on the Mohs scale of hardness. It has a glassy look to it, and is usually transparent or translucent. 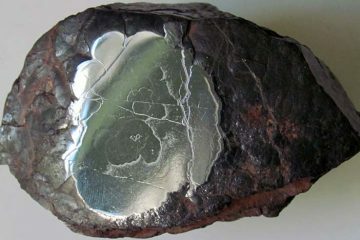 Oftentimes it has an appearance of cracked inclusions. But when it is relatively free of inclusions, it may be suitable for faceting. The name of citrine refers to its color, and shares a Latin root (“citrina”) with the name of the citron fruit, which is also yellow. The word “citrine” has been used to describe various shades of yellow since at least 1386. It used to be used quite broadly; today the definition has narrowed to a relatively specific shade of deep medium golden yellow. As you may know, citrine and amethyst are frequently mentioned in close association with each other. The reason why is that one is derived from the other. Quartz is the second most abundant mineral in the Earth’s crust. As such, it is quite common to stumble across it in nature. Natural amethysts are pretty widespread, but natural citrines are not. Citrine gemstones are common, but only because they are treated in laboratories. Most of them start their lives as amethysts (or sometimes as specimens of smoky quartz). Heat is applied to these stones and they change color, going from purple to yellow, orange, or a brownish golden color. This heat treatment may also create the cracked inclusions mentioned earlier. This process is simple and cost-effective, so citrine stones are inexpensive to buy. An example can be seen below. You may also sometimes come across a gemstone called “ametrine.” This is exactly what you might guess from the name—a two-toned gemstone which includes both amethyst and citrine. This is essentially a piece of amethyst which has been heated in places to produce both golden and purple tones. While most ametrine specimens are produced in laboratories, ametrine does exist in nature. Nearly all of it is mined in Bolivia. 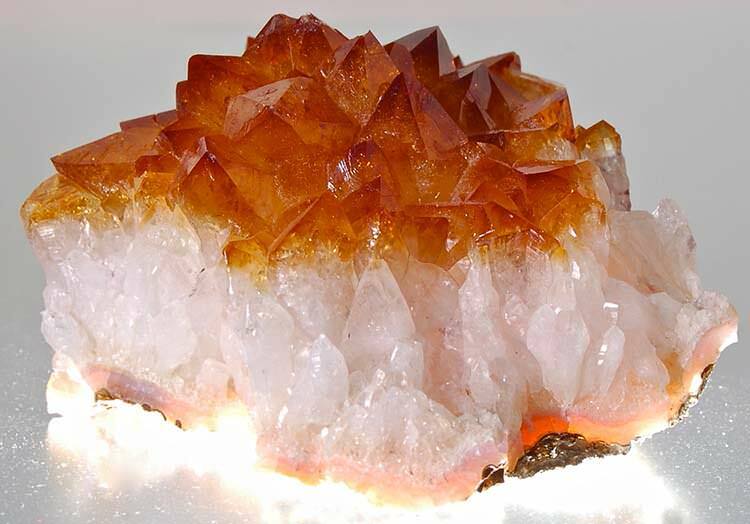 Another special variety of citrine is called “cactus quartz.” Cactus quartz may be either citrine, amethyst, or a combination of both. It is the formation which is important. With cactus quartz, you have one large crystal (or several large crystals) coated by a layer of smaller crystals. These are mined only in South Africa in Boekenhoutshoek. While quartz has some industrial uses, citrine is usually used only for jewelry. Since it is rare in nature, the naturally occurring stones are prized for their beauty. Those which are manufactured in labs are specifically made for jewelry and gem collections. 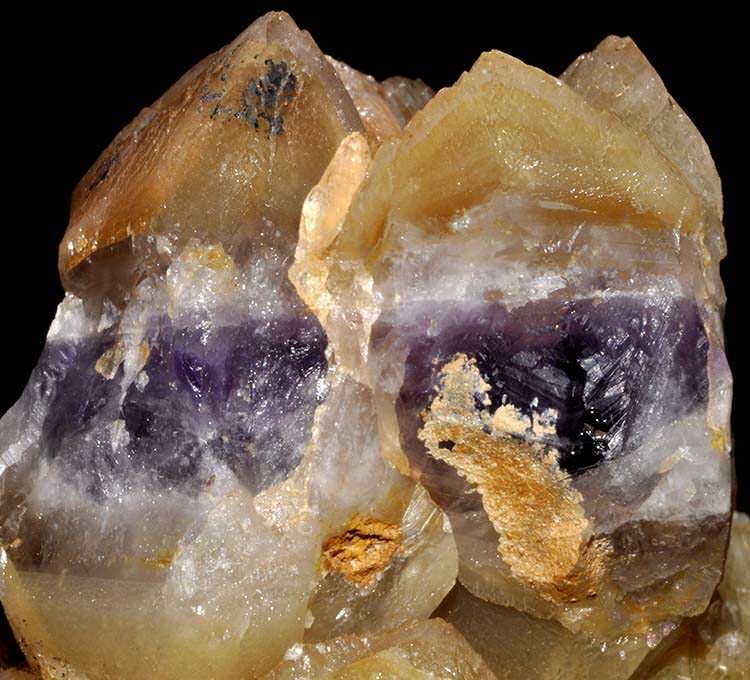 A beautiful example of amethyst that turned to citrine through natural heating. When you are shopping for citrine, you will want to pay special attention as to whether you are purchasing a natural piece or a heat-treated specimen. The two are generally easy to tell apart since most heat-treated pieces will have the tell-tale inclusions. They usually are short, stubby crystals while natural citrine will be more elongated. These heat-treated pieces generally are going to be a good deal less expensive than the naturally occurring citrine stones. Especially if they are relatively free of inclusions and suitable for faceting. Take note that these seem to be the values specifically for clear gemstone-quality pieces of citrine which can be faceted. Again, you can usually find large citrines with cracked inclusions for quite a bit less. You will often find the tumbled variety of this stone quite cheap at the rock shop. The light yellow citrine stones are sometimes marketed as “lemon quartz”. The dark brownish pieces which look kind of smoky may also sometimes be sold as “smoky quartz”. Clarity: Heat-treated stones with cracked inclusions are usually very cheap, but you can expect to pay more for clear citrines that are inclusion-free. Color: See the data from GemVal above. The most prized citrines are those with the iconic deep medium golden orange color. Cut: The right cut can bring out the sparkle and clarity of a citrine gemstone, impacting its value. Carat: This will not be a major consideration in most cases. However with the more expensive naturally-occurring specimens, you will generally find that the larger stones are more valuable. Also be sure to think about craftsmanship; when you are purchasing citrine, the stone itself will not cost that much. This means that instead you can focus on paying for a beautiful setting. This is true whether you are purchasing a faceted piece or a tumbled one. You will find many beautiful choices available both from big manufacturers and individual crafters. Because it is easy to manufacture citrine and citrine is inexpensive, you can find all sorts of large and small pieces. Citrine is used in earrings, rings, bracelets, necklaces, pendants and more. While faceted and tumbled citrine gems are most commonly selected for jewelry, raw crystals are sometimes used as well. Additionally, citrine may be tumbled into rounded beads for stringing. Citrine is actually a relatively popular choice for engagement rings (at least among non-traditionalists). It happens to be one of the November birthstones, which is probably the reason. Most citrine engagement rings include smaller diamonds around a citrine center stone. This enhances the monetary value of the ring while also giving it a traditional element. The warm golden-orange hue of citrine complements many skin tones, especially those in the spring palette. Because citrine is a birthstone, it may have extra meaning in an engagement ring for a recipient with a November birthday. As citrine is not a traditional choice, it can be an excellent stone for someone looking for something more unique than the traditional diamond engagement ring. It can add a splash of color to any outfit. You can save money on citrine, which means that you have more money to spend on the setting of the ring and the artistry that goes into it. If your citrine stone is damaged, replacing it is at least more affordable than replacing a diamond. While citrine works beautifully with some color palettes, the warm yellow color certainly doesn’t match everything. It may not be ideal for cooler skin tones (summer, winter), and also may not match every wardrobe. Even though gem quality naturally-occurring citrine costs significantly more than the heat-treated form, citrine still has a reputation as a “cheap” stone. So telling someone you have a citrine ring may not garner a great response. There is also the danger that some of the lighter citrine stones might be mistaken for off-color diamonds—which could cheapen the overall look of the piece. Citrine is not traditional, and some recipients will only be happy with a diamond engagement ring. Citrine is a 7 in terms of hardness; this makes it okay for everyday wear, but not as durable as a diamond. Plus, quartz is somewhat brittle, which means that it can fracture easily. Cleaning Citrine: Like most gemstones, citrine is best cleaned by hand, not using an ultrasonic or steam cleaner. This will protect the stone from damage. Use a soft old toothbrush and some mild detergent in warm water. You can let the stone air dry when you are done, or you can gently wipe it using a soft cloth. If you need to clean the setting, you should use a jeweler’s polishing cloth. Storing Citrine: It is best to store citrine in its own case or compartment in your jewelry box so that it does not get scratched. Make sure you never drop it; quartz can fragment very easily. Also be careful not to leave it in direct sunlight or heat for an extended period of time. Remember, citrine is actually created through heat exposure, so ongoing exposure may continue to change its properties. Wearing Citrine: Because citrine may scratch or fracture, you need to be careful not to wear it in any situation where you might bang it against a surface. So take it off before you do any manual work. Also keep it away from any chemical products that you use around the house. A beautiful 12.65ct ‘simple heart’ cut citrine – note: Gem Coach is not affiliated with the maker of this video. Always perform your due diligence before buying gemstones online. Being such an abundant mineral, quartz has been popular throughout human history. That being said, citrine has only come into vogue in more recent times since it is rare for it to be found in nature. Still, there are some pieces which date back at least to the Victorian era. According to the GIA, this makes it entirely possible that there are older pieces still waiting to be discovered by modern jewelry collectors as well as archaeologists. In fact, renowned jewelry designer Mark Schneider reports that citrine was used in earlier epochs for jewelry and other purposes—so some examples must already be known to archaeologists. 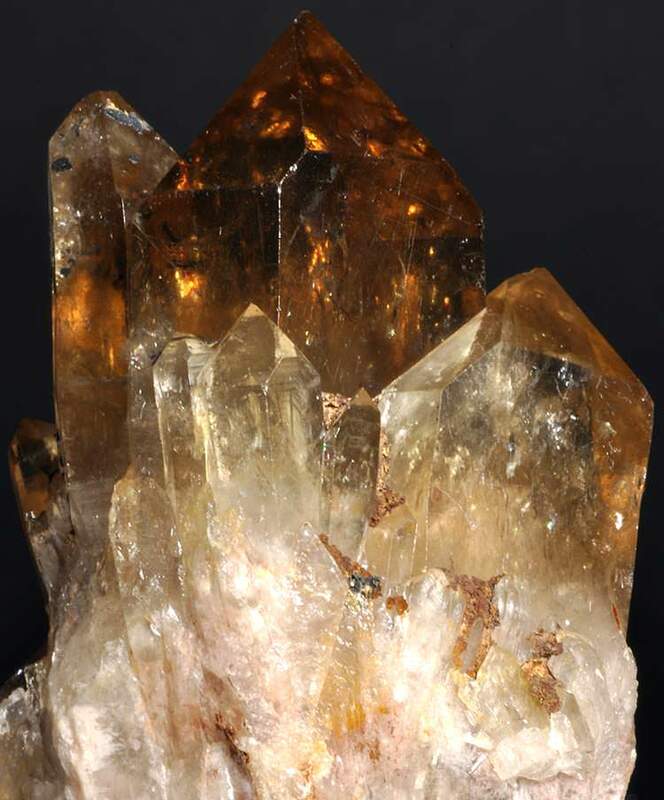 Schneider says that citrine was used for decorative purposes during the Hellenistic Age of Ancient Greece, and that it was also used by Scottish men in the 17th century in sword and dagger hilts. One record indicates that an entire sword hilt was once carved out of citrine. Citrine became quite popular in the middle of the 20th century. During that time, very large citrine pieces were worn as statement pieces. Citrine has remained popular ever since, even though it is no longer the cultural trend that it used to be. The most important meaning associated with citrine is its role as the November birthstone. Topaz is the traditional November birthstone, but because it is so expensive, a secondary option was chosen, and that ended up being citrine. In terms of metaphysical meanings, citrine’s warm yellow hue associates it most strongly with the solar plexus chakra. For this reason, citrine is associated with qualities like leadership, self-discipline, self-esteem, willpower, and charisma. A number of gemstones are similar to citrine or related to it. Some may even be readily confused with citrine. Smoky quartz. The relationship between smoky quartz and citrine is complicated—and overlapping. Scientists still are not 100% clear on the source of citrine’s color, but it seems at least some citrine is colored the same way as smoky quartz. For this reason, some citrine pieces appear smoky. Both may be paled or turned a deeper yellow through applied heat and irradiation treatments. In fact, like amethyst, smoky quartz can be turned into citrine. 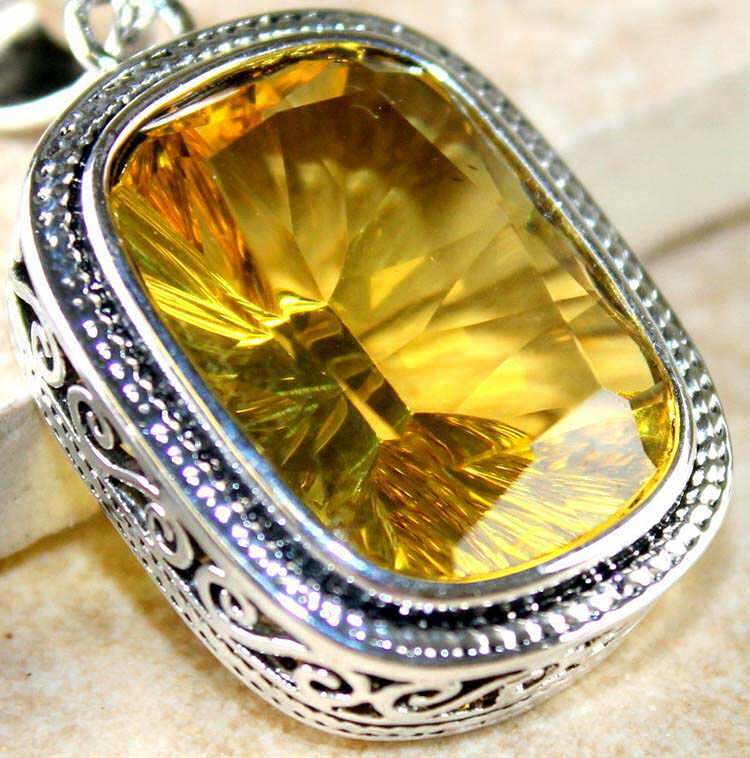 You can even buy “smoky citrine,” a transitional gemstone between the two. 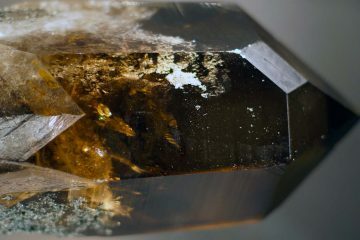 Topaz. Topaz is the other birthstone for November. 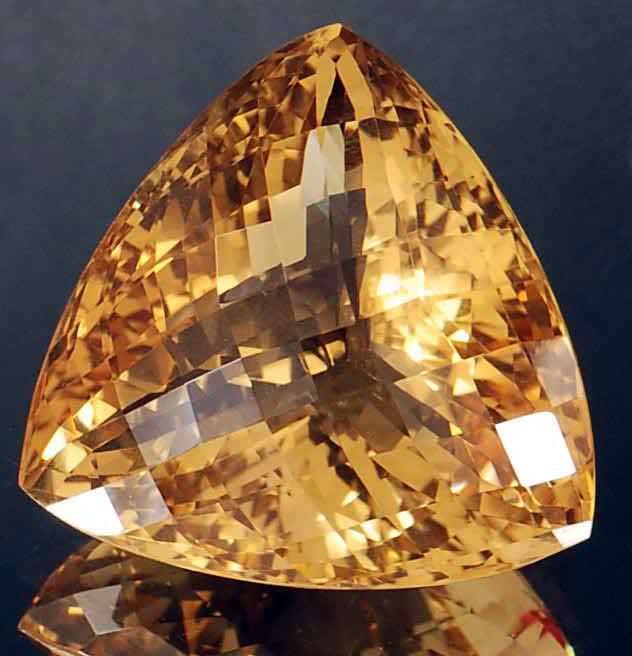 Citrine was chosen because it appears quite similar to yellow topaz. On the Mohs scale of hardness, however, topaz rates an 8. It is also generally more highly prized and tends to fetch a higher price. Unlike citrine, topaz comes in a variety of other colors as well, including blue, pink, and white. 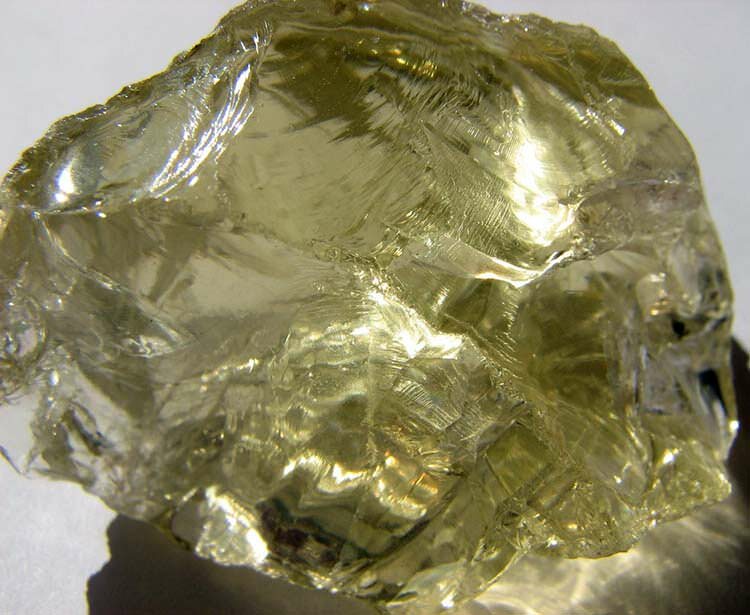 It can also be distinguished by its perfect cleavage and its crystal formation, which differs from that of citrine. 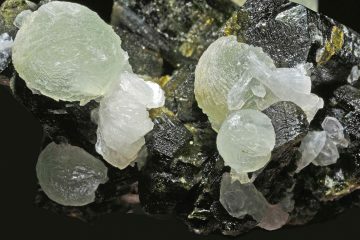 Chrysoberyl. As the third-hardest natural gemstone frequently found in nature, chrysoberyl rates an 8.5 on the Mohs scale, which places it between topaz (8) and corundum (9). It is quite tough and it can also be quite expensive to purchase. The stones may come in a variety of colors, but the majority is a greenish yellow color (or yellowish green—the color sits pretty squarely in the middle). The hardness and the greenish tint are the best ways to distinguish it from citrine. Apatite. This actually refers to a group of phosphate minerals. Apatite comes in a number of different colors—blue seems to be the most common hue. There are yellow apatite specimens however, and with their glassy luster, they are quite easy to confuse on sight with citrine. 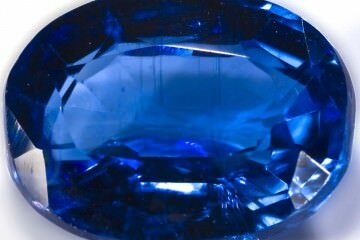 Apatite is softer than citrine however, rating only a 5 on the Mohs scale of hardness. It has different crystal terminations as well. Fluorite. This entrancing mineral is the mineral form of calcium fluoride. The cubic crystals usually form with dual-toned coloration, usually a combination of pale bluish green in conjunction with purple. Sometimes, however, fluorite may occur in an orangey yellow color which is quite close to the common hue of citrine. Fluorite is easily distinguished by its cubic crystals and its softness—it is only a 4 on the Mohs scale. Heliodor and golden beryl. These are the yellow-hued shades of beryl (for reference, green-hued beryl is known as emerald). 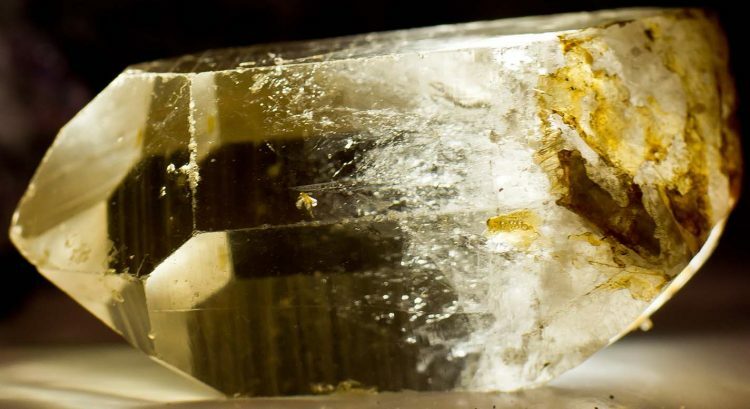 While the two names are often used interchangeably, heliodor specifically refers to greenish-yellow beryl, while golden beryl refers to those specimens which have a pure yellow or honey-gold color. Both may be relatively flawless and spectacular to behold—sometimes quite large as well. One specimen of golden beryl on display at the Smithsonian measures an astounding 2054 carats. How can you distinguish these gems from citrine? The greenish tint of heliodor is a giveaway; beryl is also harder (7.5-8 on the Mohs scale). The crystal formations differ as well; beryl tends to form perfect elongated hexagons. Yellow diamond. There is no direct relationship between citrine and yellow diamond. Diamond is a precious gemstone which is a 10 on the Mohs scale of hardness, so distinguishing the two is not difficult. At a glance, citrine may be mistaken for yellow diamond. 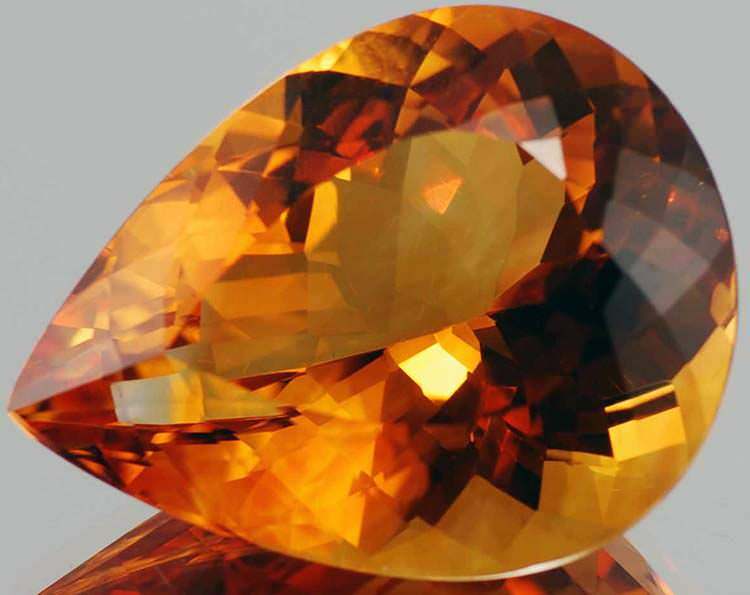 In other words, a flawless citrine may be mistaken for a flawless diamond. This contextual mistake can result in an altered perception of the stone’s relative worth. Yellow garnet. Garnet refers to a group of silicate minerals which may come in pretty much every color imaginable. The red form is best-known; blue is the rarest. Rating 6.5-7 on the Mohs scale of hardness and with a vitreous luster, yellow garnet is extremely easy to confuse with citrine in its faceted form. Some yellow garnets have a slightly green/cool tint, but others have a warm orangey yellow color just like citrine. In their raw form, the crystal formations do differ, so this can help you to distinguish one from the other. 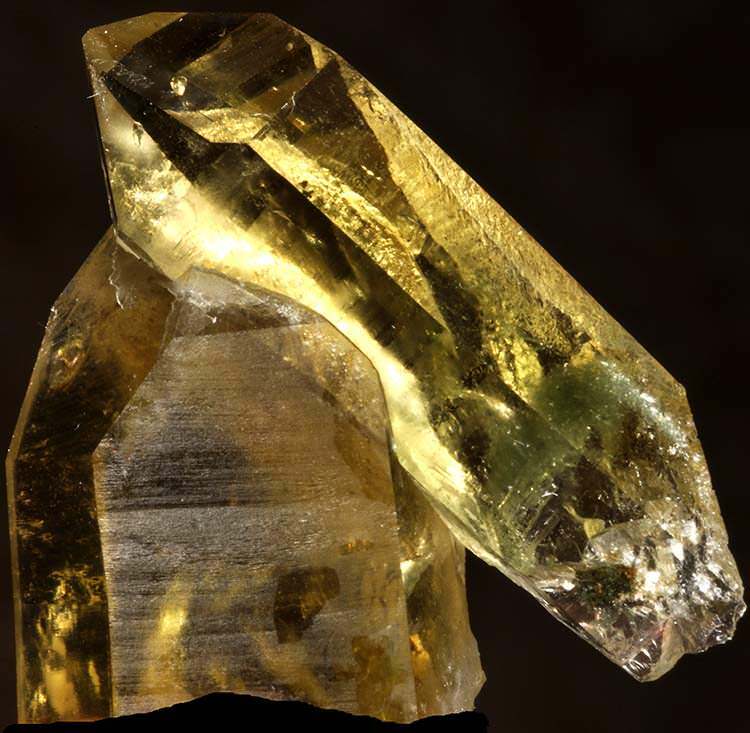 Yellow tourmaline. Tourmaline also shares a similar hardness with citrine, ranging from 7-7.5 on the Mohs scale. It comes in a wide variety of colors, including yellow. 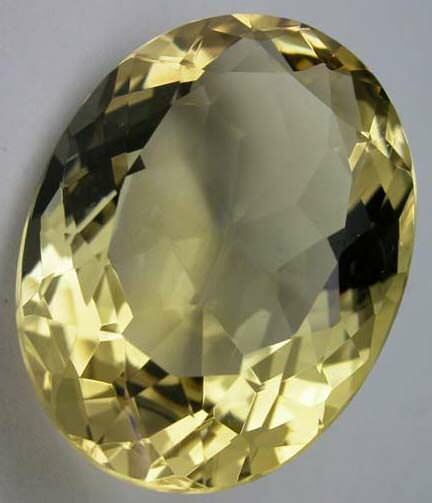 It has a glassy luster like citrine, and can be quite tricky to tell apart from citrine in its faceted form. It is rare to find tumbled and polished tourmaline. You may be able to pick up polished specimens of heat-treated citrine at your local rock shop for just a few dollars, but citrine’s beauty and appeal goes way beyond casual collecting. The natural form is comparatively rare and is highly prized for its clarity and warm, inviting hues. It makes a wonderful choice for jewelry of all kinds, and even makes a striking and unusual choice for an engagement ring.